A Steam Cleaner and a Vacuum, Desiderio Auto, 315° Continuous Fill Steam & Vacuum, 75 Psi, Made in Italy, The undisputed champion of clean! If you think steam is raw cleaning power unleashed on dirt and grime, imagine the power of steam and vacuum combined! *Optional $200 Value! Only $100 more for 10 Year Nationwide Extended Warranty Enhancement: Repair Parts and Labor, Power Surg, Transfer Owner, No Lemonk Replace or Buyout % Depreciation, for Non Commercial Use in the USA. Add Optional Vapor Clean 4 Wheel Transport Roller Trolley on Casters, Carries Desiderio, Auto, & Plus Commercial Dry Vapor Steam Cleaners with Accessories & Tools. 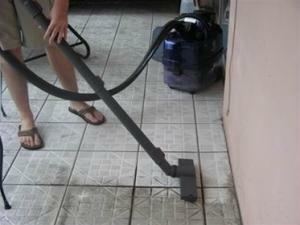 Vacuum the dirt and debris while steaming at the same time and walk away - 2 processes, one step! This machine gives you the highly desired continuous operation steam and the vacuum function. Feel like you have "miles of tile" and nothing to clean it all in one step? Step into the newest addition to the Desiderio Family! 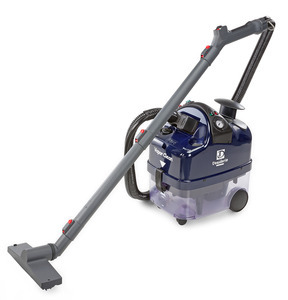 The Desi Auto is the machine to buy if carpet cleaning is not the task important to you, this machine gives you the highly desired continuous operation steam with the vacuum cleaner function. Feel like you have "miles of tile" and nothing to clean it all in one step? 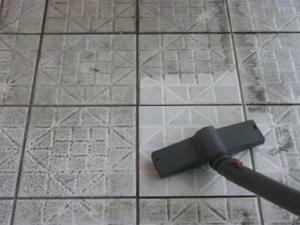 Vacuum the dirt and debris while steaming at the same time and walk away - 2 processes, one step! Deep clean with Steam & Extract dirt simultaneously! Steam cleans all hard surface floors including hardwoods, marble, granite, slate, terrazzo, porcelain, vinyl, laminates and more.... leaving no soap residues. Equipped with a water filtration system and filter to complete a two-stage filtration system more effective than a HEPA filter. This machine is tested from the factory. All machines have water in the boilers. The Desi Auto is not the machine to buy if carpet cleaning is one of the the tasks important to you. However, the Desi Auto is the machine to buy if you want to get the most function and value for your investment anywhere on the market!! With the elegant cleaning solution of steam vapor and the trusted cleaning solution of a vacuum, our Desiderio Autosteam and vacuum machine offers un-paralleled cleaning in a single, effortless pass! Basic science, not a lofty promise, is your assurance that a steam and vacuum system is an excellent choice. Cleaning is just the beginning - not only steam those dust mites and creepy crawlies dead, but use the preferred method of vacuuming prior to and after treatment - all with one machine! Since the steam and vacuum combination makes cleaning so extraordinarily easy, the uses are endless! 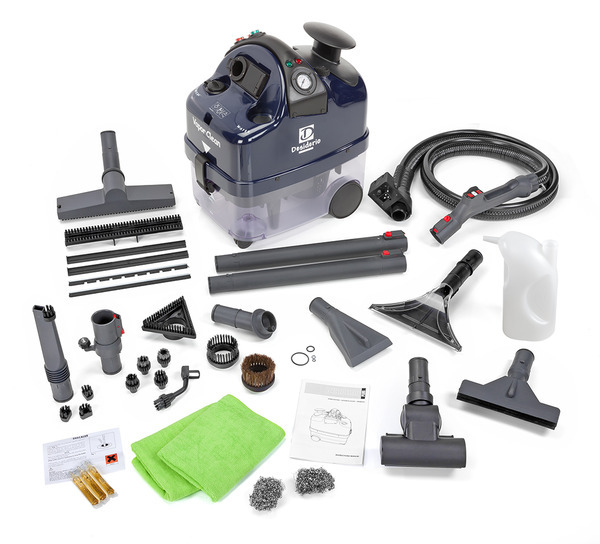 The Desiderio has a two stage commercial high suction vacuum and since the water catches the dirt and debris more effectively than a bag or filter, no expensive filters or bags are required! Cleaning the machine is a matter of dumping the waste water! It just could not be easier. Steam and extract simultaneously the dirtiest of floors! Our water filtration system achieves results better than a hepa filtration system! We then added a secondary filter at the exit for the purest of air filtration. Air-turbo brush: Vacuum generated "beater bar" for carpet vacuuming and simultaneous steaming if preferred. Deep clean with Steam & Extract dirt simultaneously! Should I used distilled water? The newest models of the Desiderio units and continuous fill models are designed to use regular water not distilled. There are sensors inside machines that need to read some mineral content in the water. So all customers that receive any continuous fill models or the Desiderio models should never use distilled water. Love..love...love my Desiderio!! I have never used or seen anything like my Desiderio in a store. Took me a bit to get the hang of it but I cant stop cleaning. Thanks! A+ product, customer service and fast shipping.